I'll be doing 6 different games of 20k NX give away for who ever gets First Place on the 4th of July. I was thinking of doing Quarantine Regen but that wouldn't be Fair for the Combat Arms community. So i decided to do  Quarantine Regen Games of 20k NX,  Search and Destroy and 2 Elimination Pro Sniper of course every game is gonna be 20k . But Players only would get one up to 2 chances to get first place! Since i live in Hawaii its gonna be around 6pm West cost time! I'll be Mega in game so people know what room and time i would be starting. Everyone is invited to attend. I would love if everyone just try to be in their best behavior because i'm gonna try to have some fun :) i will try my best to make it fair to everyone! the rules for Game is gonna be simple! No Spec, No Mutagens, No XM25, No More than 1 launcher in that for Quar. For the Elim Pro and SnD Games its gonna be CGL Style so everyone knows. Also if you have any suggestion please let me know so i can make some changes as long it makes it more fair for everyone and its not just for personal advantage! Also I will most likely host in NA and not in Global! Warning if you break any of those rules would will be disqualify and kicked. I hope i see you guys in Game and Yeah... Good Luck to everyone and i hope you guys have fun!!!! Side Note: If everything goes as plan and people enjoy it, i'll be hosting more NX event in the future!!! What's everyone up to now? Feb 10 2018 06:33 PM hi bye. 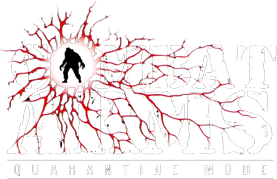 Combat Arms Reloaded Versus Combat Arms Classic !